Juan Diego Florez Event home HamiltonThe PromNetworkTo Kill a MockingbirdKiss Me KateHadestownOklahoma! 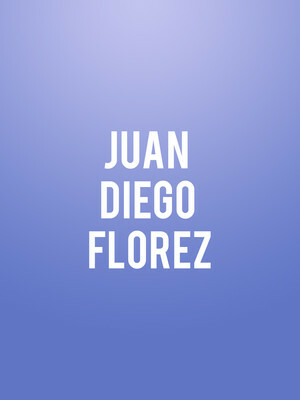 Why See Juan Diego Florez? As part of the historic venue's Great Singers I series, Carnegie Hall welcomes four stellar voices to its stage in celebration of their breath-taking technique, emotive performances and undeniable charisma. The NYC cultural institution presents the Peruvian King of the Bel Canto Juan Diego Florez for an intimate evening of soul-stirring song, with accompaniment by pianist Vincent Scalera. From Mozart to Puccini, Florez's has wrapped his honey-toned tenor and dramatic fire around the greatest melodies of opera and classical music, imbuing each performance with an unparalleled passion. Whilst he employs finesse and silken phrasing, the legend-in-the-making's big, bold voice effortlessly soars to the stratospheres, often bringing the house down after each rafter-clearing performance. Sound good to you? 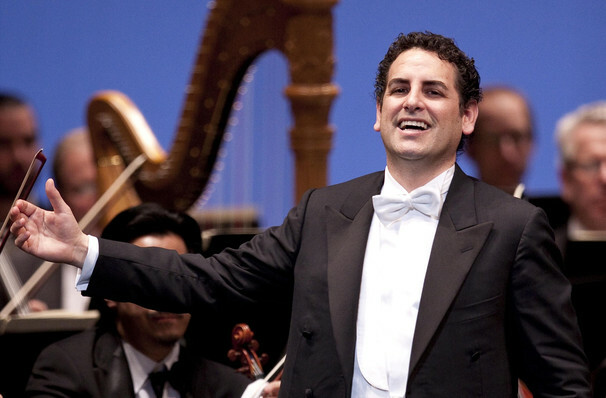 Share this page on social media and let your friends know about Juan Diego Florez at Isaac Stern Auditorium. Please note: The term Isaac Stern Auditorium and/or Juan Diego Florez as well as all associated graphics, logos, and/or other trademarks, tradenames or copyrights are the property of the Isaac Stern Auditorium and/or Juan Diego Florez and are used herein for factual descriptive purposes only. We are in no way associated with or authorized by the Isaac Stern Auditorium and/or Juan Diego Florez and neither that entity nor any of its affiliates have licensed or endorsed us to sell tickets, goods and or services in conjunction with their events.